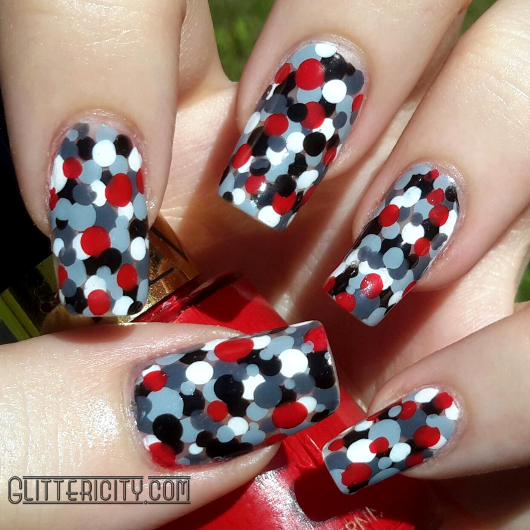 Today I have a dotticure for you, inspired by Simply Nailogical on YouTube. Specifically, a comment left on this video by Nat the Otaku (hehe, love the username) suggesting an alternate colour combination. 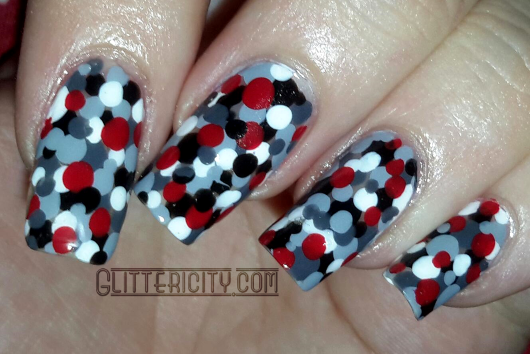 I don't think Cristine will ever do this one since she doesn't like plain creme polishes much--so I did it instead! 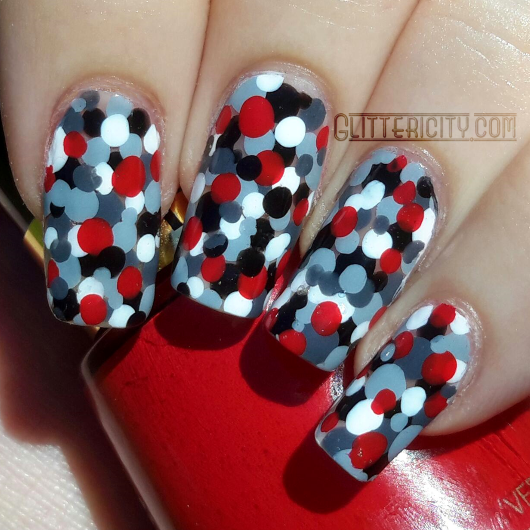 I started with plain nails, wearing only a base coat, and just used a dotting tool to cover these with five polishes: Zoya Purity (white), Soulstice Spa Manchester (light grey), Essence Movie Star (dark grey), China Glaze Liquid Leather (black), and Revlon #480 Revlon Red (red... obvs). A little time-consuming, but easy-peasy! Once the nails were pretty much totally covered, I let them dry and then topped with Seche Vite for their protection. I intentionally left little bits of naked nail peeking out here and there--I like how it looks when the light shines through them from behind.